PS Café is a new arrival on the Sydney scene that is already expanding its premises. We luckily arrived early and although we tried to brave the weather outside, we eventually spotted a vacant table within. There were others braver than us though – the take-away and eat-in crowd was incessant throughout our visit. The interior isn’t huge although a courtyard and second internal dining room is currently being prepped and will be opened in the next few weeks (see the wooden gate to the left of the photo above). We found the service to be incredibly efficient. The wait & kitchen staff are all quite young but the owners have done their research and know what makes a welcoming café from the comfortable interior to the solid menu with items to please most clientèle. We did not try the current coffee specials: Single Origin Lake Sumatra ($4) or Organic Peru ($4.50) but hats off to the barrista who prepared our cups. The flat white and skim cappuccino ($3.50) would make any coffee drinker proud. Towering on the counter was a cold drip coffee filter that takes ten hours to filter. The resulting coffee concentrate is served over ice and although we did not try this time, the flavour is generally quite different to beans that have had heat applied to them. Cups are $5. 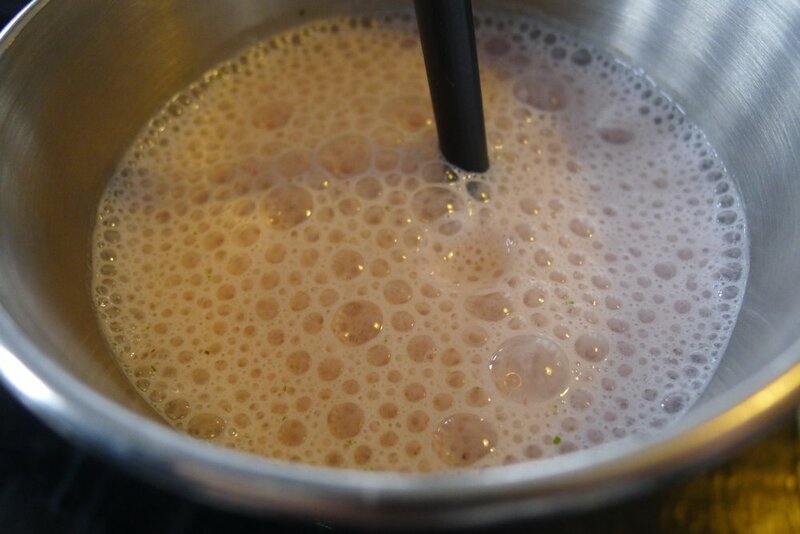 Fresh fruit juice ($6.50) from orange, apple, watermelon, celery or ginger can be mixed and matched to your taste. An interesting addition to the beverage menu is the vanillachilla ($2) which is a “teaspoon of homemade icy vanilla fondue in a tall cold glass of water”. We’re intrigued but not enough to order. You know we find it hard to bypass a smoothie ($7.50). PS serves banana & honey, strawberry & mint or mango & strawberry. There are some unique combinations and we had not come across strawberry and mint before. We indulged and were pleasantly surprised. Plenty of strawberries and a strong mint aroma make this a winner. The only downside was that it was not cold enough. 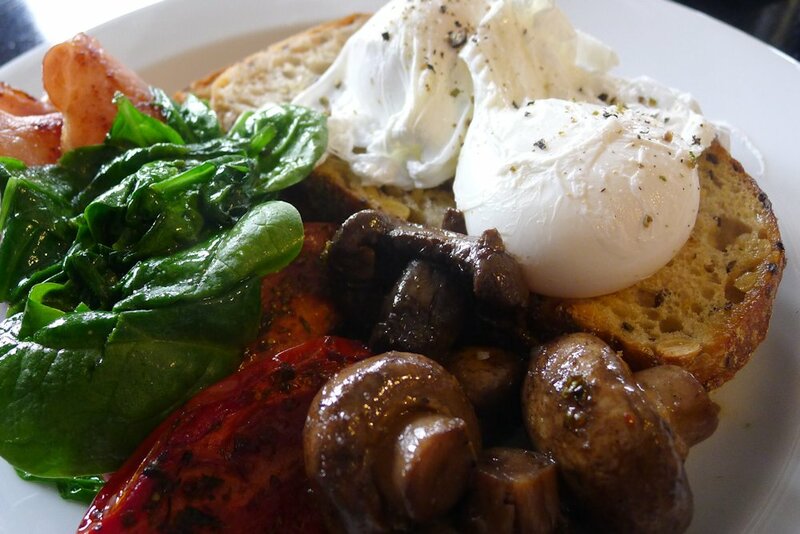 The free range eggs ($8) are prepared any style and served with sourdough, soy & linseed or rye toast. Our poached eggs (as with those served to other tables around us) were prepared perfectly and the soy & linseed was soft, airy and delicious. We coupled our dish with sides of bacon, mushrooms ($3.50 each), wilted spinach and oven roasted tomato ($2 each). Overall a decent price for such a large serving and we found it hard to fault anything on the plate. The tomatoes had been roasted with thyme and other herbs, the mushrooms pleased us with hints of lemon and the spinach was only slightly wilted, retaining its bright colour and strong flavour. The combination worked well together. The most popular side judging by those around us seems to be the kumara and basil hash ($2) which to our eyes looked more like a mash but sounds great anyway! 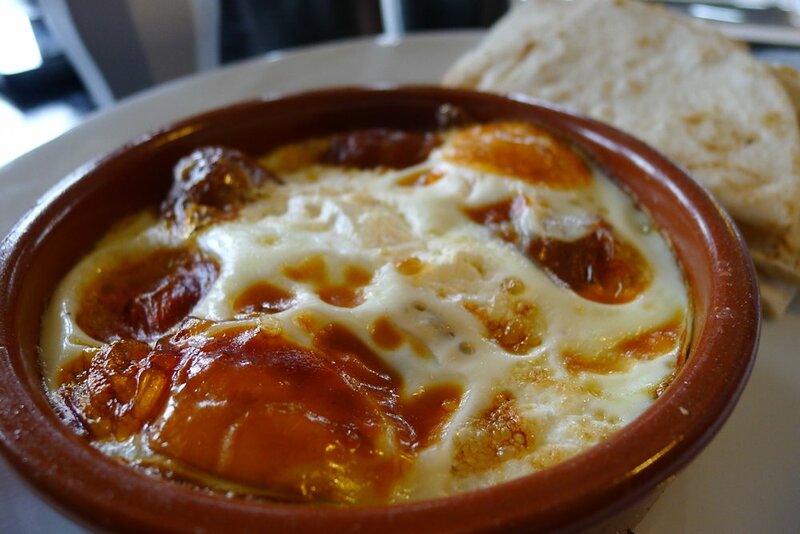 The Greek oven baked eggs ($14) is what we believe took our meals a long time to be served (which cannot be faulted as that is simply how long the dish would take to bake). When it was served, we found it too well cooked through for our taste but upon chatting to the host, that is precisely their intention. Personally we would request it to be taken out five minutes earlier next time. Having said that, the Greek component of the dish, the loukanika, was moist and bursting with flavour. The feta was very salty but when combined with the eggs and loukanika, blended perfectly. On the side was served some delightfully soft flatbread. It was so tasty we would be more than happy to see a dish on the menu with just this bread and some dips & tepenades! There are many other treats to be discovered on the breakfast menu: the bircher muesli stack ($10) which is soaked in cloudy apple juice looked tremendous on the table next to ours and the banana, nutella and walnut loaf with vanilla infused marscapone ($5.80) sounds like a winner. We wanted to try the freshly baked goods in the counter but we could not manage another bite! So where to from here for PS Café? We certainly have high hopes and commend them on a great start. There are enough fresh ideas on the menu to encourage most people to return but we just want to see some more of their home-grown Greek delicacies gracing the plates. Good luck, we will return! 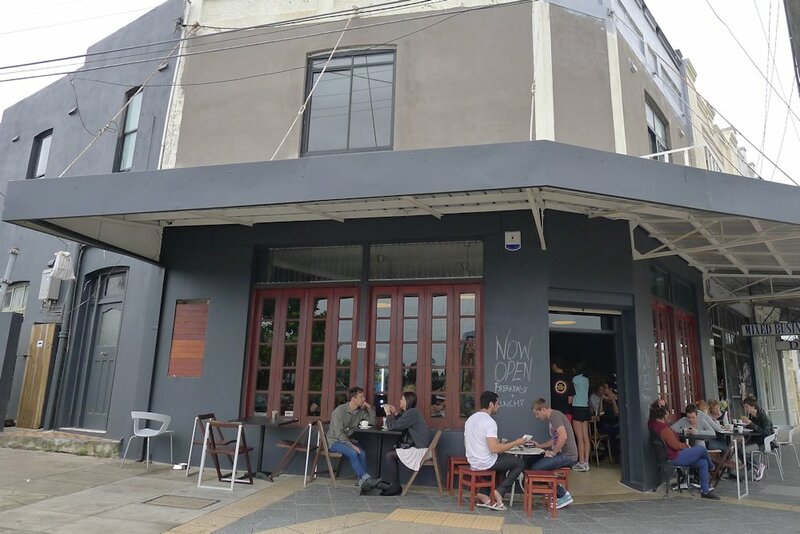 This entry was posted in Sydney - Western Suburbs and tagged Dog friendly, Free range eggs, Outdoor seating. Bookmark the permalink. I have to agree with Adam Black – it is the best thing that has happened in the area and the food and service is great – for two young guys in their first foray the boys at PS Cafe are to be commended and I too rate it 25++. I’ve tried the other cafes in the area & afar and they just don’t rate for the array of food – most still offering the same boring fare from yesteryear!! The food on offer here is fresh, original and vewry tasty! I am a regular and am happy to say it’s my haunt – the Bircher Muesli is a must-try as are many of the other dishes not tried by the reviewers!! 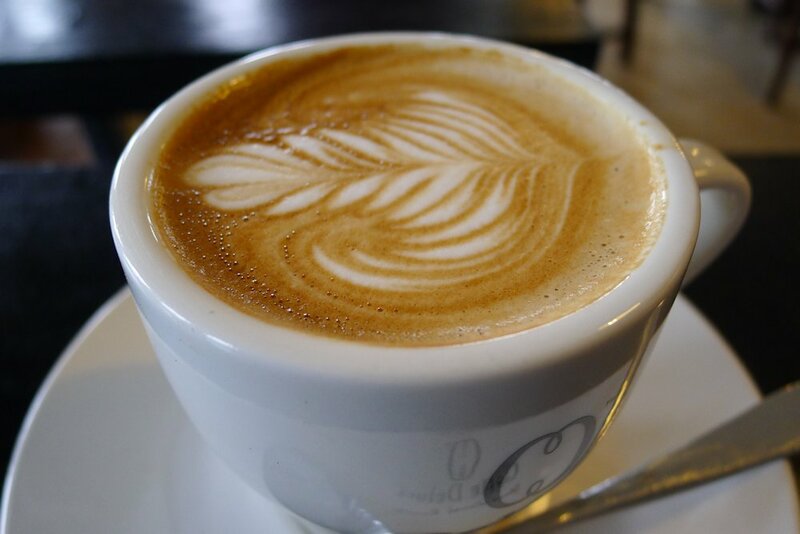 I recommend they come back and expand their palate and they’ll no doubt agree with us locals – a breath of fresh air in a community that was starved of a decent cafe with great coffee to boot!!! Have to agree with the above, we love PS cafe!! have been on most weekends and they serve delicious food, warm atmosphere, not too noisy and cosy inside, welcoming staff and the hosts are very accommodating, need I say more. You must try the he ‘Haloumi and chicken wrap’ along with the Blueberry yoghurt cake, two of my favourites from the menu. Keep up the great work and we will be back again and again! PS is a fantastic cafe both with great food and friendly service. My husband and I have become regulars! The jams are divine, and I enjoy the variety on offer. The banana jam I had last week was exceptional. Everything is cooked perfectly and I cannot fault them on anything. My husband loves their scrambled eggs which are always fresh. 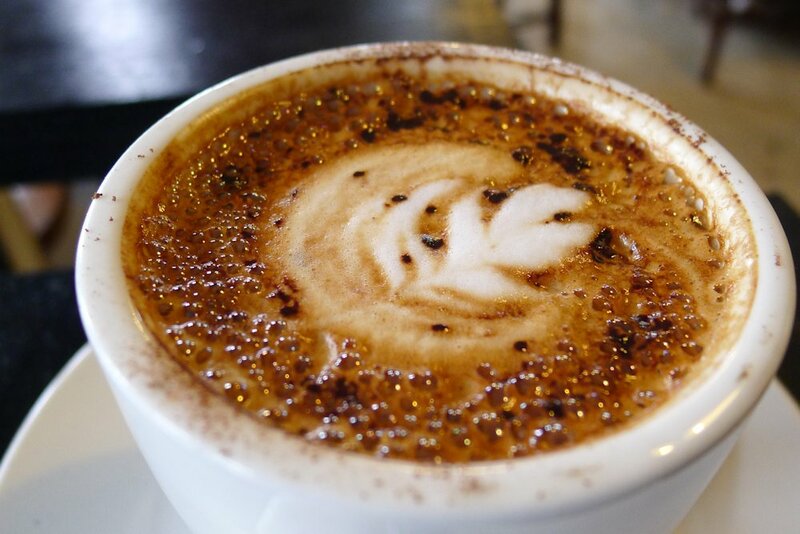 As an avid coffee drinker, I am very happy to say that their cappuccinos are perfectly made all the time. Well done to the Barista. Like Deborah stated, keep up the good work!